Bruce...was born in Shakopee, MN on March 11, 1952. "I received my first guitar as a birthday gift when I was 8 years old. I had three guitar lessons, was thrown out of the third lesson for playing Johnny Cash's Walk The Line. My teacher didn't like Country Music. So, I kept on learning on my own. In 1963, when I was eleven years old, I had my first real gigging band, The Country Swingers. We were five cute little kids playing and singing those Country jukebox hits and cheatin' songs. We got on the radio when I was 14 and had a blast. Years later,in 1989, after winning a True Value Country Showdown Contest, I was invited and asked by Hoyt Axton's organization to come down to Fan Fair in Nashville, to perform at their "New Stars Showcase". What an honor that was to perform with the very best of the very best. I was offered and asked to stay in Nashville by The Hallmark Agency, and work on a record deal, but having a young family back home, a good job and knowing the uncertainties of the music business, I turned it down. Yeah, I know, but I did get to make some wonderful, lasting friendships while I was there. Sorry, no name dropping here. Besides, there were so many bars, clubs and honky-tonks back home that hadn't been played yet. I took over the reigns of the band in 1998, with the approval of our members and fans. It was tough to take over where Goody left off, and at times it still is. My family has always been so supportive of me in this music all thru the years. I'm sure I drove my folks nuts when I was learning to play and sing. My Mom even let me and my Brother put on a little concert in our house one snowy day in 1961. The neighbors waded thru deep snow across those snowy fields and departed with their nickel admission fee to hear us squeal out "Wolverton Mountain". My Dad used to drive me to those smokey bars and clubs back then so I could "legally" play in them since I was so young. What a cool, fun way I grew up! Thanks to my folks and Pat, Ed and everyone who has helped and encouraged me along the way (thanks to Roy for teaching me to play Honky Tonk Man when I was a young teen). Thanks to Jen, my daughter and roadie and to my beautiful and wonderful Debbie for all of her love and support. I was born in St Paul MN on November 16, 1948. And I would like to clear something up right now, the maternity room nurse DID NOT drop me on the floor. My parents brought me home to our little house on Lorenzen road in Roseville MN. I guess they called it Lorenzen road because the Lorenzen family lived at the end of the road.I watched rural Roseville become a suburb. It was a great place to grow up. With four brothers and three sisters, and neighbors that were the same age as us, there was always something to do There was oak forests, swamps, ponds, hills for sledding, lakes for swimming. A lot of time was spent building shacks, digging underground tunnels, and building tree forts. One day a neighbor boy brought out his dad's guitar, and when I got it in my hands on it, I knew instantly that I could do some thing with that thing. Another neighbor had a guitar he would let me play with it. But I had to get one of my own. I saved money and bought a little beginner guitar at Sears for $19.95. A lot of time was spent over the years on this guitar thing. Better guitars, amplification, and eventually forming groups and performing for whoever would listen. It was house party's then barn party's, and eventually playing in bars for a few bucks. Back in the day when playing barn party's was the thing, myself along with a few friends were driving out to a place in the country for an evening of rip-roaring merry making. The car we were driving was an old Hudson and long overdue for the boneyard. Along with passengers was our musical gear including my beautiful Guild flat top guitar. After blowing a tire at 60 or 70 mph the old Hudson with suspension that was non existent, the gas tank started scraping on the pavement. This quickly bore a hole through the gas tank, then the sparks from the tank dragging on the road ignited the gasoline. We pulled onto the shoulder and ran for our lives. The old Hudson burned with everything in it, including my beautiful Guild guitar. I was a guitar player without an axe. But as luck would have it my brother Tom came to the rescue with a fiberglass guitar that had a resonator which led me to raise the action buy a steel bar and learn to play Dobro. 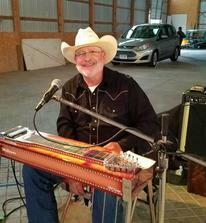 The Dobro eventually led me to the steel guitar which has become my main interest. I have played with many groups over the years and enjoyed it. 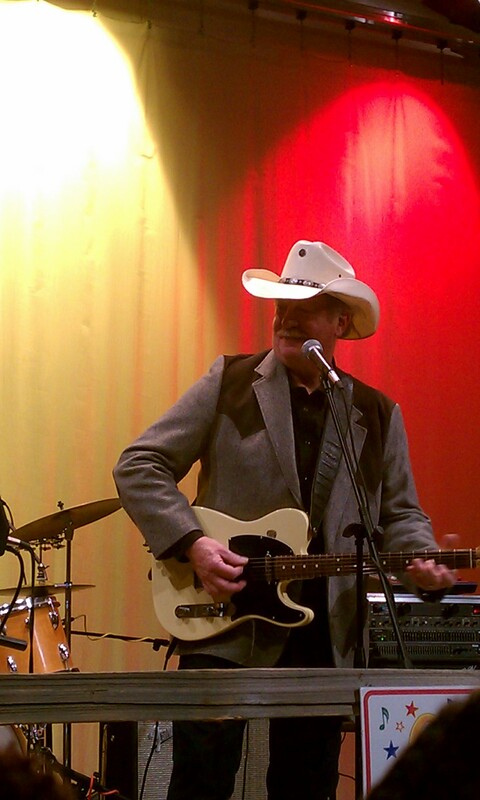 Lately the Dakota Ramblers Band is my home along with my longtime friend Bruce Krohn. I plan to continue as long as it is still fun, and someone can stand my noise. No Photo or Bio yet on Terry. We will update Terry's Bio soon! I was born in St Paul in 1950. Music was always in our house. From one end of the spectrum to the other. My mom was a church organist from St Paul and my dad was from the hills of north Kentucky/south Ohio border. Never a dull moment! I got my first guitar in 1962, after giving up on the clarinet for a couple of years, and got a "package" group of lessons with it. My teacher was John Kolstad, who is still playing to this day and is fondly known in the cities as "Papa John". After playing in garage bands in jr. high I decided that being a drummer was the way to go! So off to the store with what money and stuff (including the clarinet!) to trade for a new set of Rogers drums! That lasted through high school. After that back to the guitar. I started my first country band in the basement of our house with a couple friends who were already the drummer and guitar player so I asked what am I going to play and they said bass! I never played bass before but the guitar player went out and bought a bass for me to use and that turned into what I do today! I like all kinds of music, during high school one of my favorites was Buddy Rich and his big band. Plus all the rest. Country has always been my true favorite, probably from some roots planted by my dad. I've met some great people during my days including performers and just great plain folks! 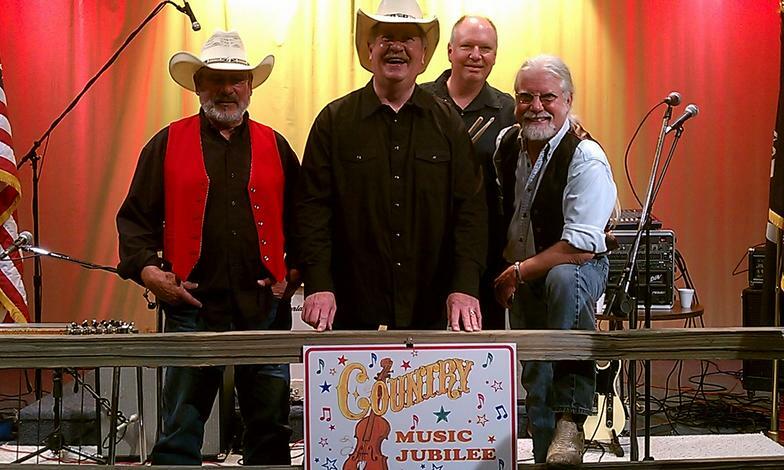 I've been playing country most of my musical career, including a full time country group during the mid 70's till mid 90's, and love the true country that this music was built on. The Ramblers are a great band with great guys! Thanks to all over the years that got me this far!